Abandon your expectations at Foreign Bodies, a casual, multi-sensory, one-night-only event with Composer-in-Residence Esa-Pekka Salonen as your guide. See his music: Boston Ballet dances to it in Obsidian Tear, “a choreographic breakthrough for Wayne McGregor” (The New York Times), and a live video installation animates Foreign Bodies. Witness a new kind of violin concerto by Daníel Bjarnason. Esa-Pekka Salonen (b. 1958) composed Foreign Bodies in 2001 and revised the score in 2002, after its first performances. 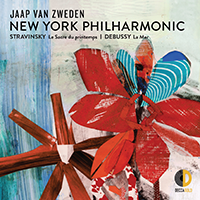 It blends new material with some from his previously-written piano work Mécanisme (the first movement of Dichotomie) and the choral piece djupt I rummet (Deep Within the Chamber), and is a synthesis of the thinking and ideas he developed in 2000 during a sabbatical from conducting. Scored for very large orchestra, Foreign Bodies is in three movements played without pause: Body Language, Language, and Dance. Mr. Salonen writes: “As the title Foreign Bodies suggests (it actually suggests lots of things), the music is very physical in expression, almost like an imaginary scène de ballet. The title also refers to the fact that I am less concerned about the purely cerebral aspects of music and more interested in the physical reality of the music, i.e. the sound itself, than before. Also, more than two decades of conducting have helped me to think in a simpler, more direct way than before.” Commissioned by the Finnish Radio Symphony Orchestra, Foreign Bodies is dedicated to Mr. Salonen’s friend and colleague Jukka-Pekka Saraste, who conducted the premiere at the Schleswig-Holstein Music Festival in 2001. Video designer and director Tal Rosner works with musicians and theater makers, combining multiple layers of sound and visuals to create a new language of classical / contemporary video installations and live performances. Most recently he was commissioned to create visual interpretations for Steve Reich’s Tehillim (Psalms) by London’s Barbican Centre and for Olga Neuwirth’s Disenchanted Island by IRCAM and Centre Pompidou. Mr. Rosner’s other work includes serving as video content director for the Rolling Stones European tour Stones — No Filter (2017); Britten’s Four Sea Interludes and Passacaglia (2013–16), commissioned by the New World Symphony, San Francisco Symphony, Los Angeles Philharmonic, The Philadelphia Orchestra, and BBC Symphony Orchestra; Chronograph (2011), a site-specific digital art mural in collaboration with artist Casey Reas, which inaugurated the New World Symphony’s Frank Gehry–designed building and is still screened daily on its 7,000-square-foot exterior projection wall; and In Seven Days (Piano Concerto with Moving Image), a collaboration with Thomas Adès, commissioned by the Southbank Centre and the Los Angeles Philharmonic (2008), and later performed with the Tonhalle Zürich, Cologne Philharmonie, and the New York Philharmonic (in January 2011, led by Alan Gilbert). Theater and dance credits include Everyman (Rufus Norris, director) and Husbands and Sons (Marianne Elliott, director) at the National Theatre; You For Me For You (Richard Twyman, director) and X (Vicky Featherstone, director) at the Royal Court; and Les Enfants Terribles (Philip Glass; Javier de Frutos, director) at The Royal Ballet. Mr. Rosner co-designed Shopping and F’ing (Sean Holmes, director) with Jon Bausor for the Lyric Hammersmith, where he is also an associate artist, and co-created 8 Minutes (2017), a multimedia dance piece with choreographer Alexander Whitley and composer Daniel Wohl for Sadler’s Wells. He is currently working on the revival of The Most Incredible Thing (Pet Shop Boys; Javier de Frutos, director) for North Carolina’s Charlotte Ballet, and directing a semi-staged concert performance of Ligeti’s Violin Concerto with violinist Jennifer Koh. In 2008 Tal Rosner won the BAFTA for Best Title Sequence for the Channel 4 television series Skins. He was born in Jerusalem and now lives and works in London. Choreographer Wayne McGregor created Obsidian Tear in 2016, set to a pair of pieces by Esa-Pekka Salonen: his symphonic poem Nyx (2011) and the violin solo Lachen verlernt (2002). The world of Obsidian Tear is inspired by Nyx, the premiere of which Mr. McGregor heard in Paris in 2011, conducted by Mr. Salonen. Composed for large orchestra, Nyx is named for the Greek goddess of night. Mr. Salonen writes: “Nyx is a shadowy figure in Greek mythology … we have no sense of her character or personality. … I’m not trying to describe this mythical goddess in any precise way musically. However, the almost constant flickering and rapid changing of textures and moods as well as a certain elusive character of many musical gestures may well be related to the subject.” Of the second piece in Obsidian Tear, Mr. Salonen writes: “The title Lachen verlernt (Laughing Unlearnt) is a quotation from the ninth movement of Schoenberg’s Pierrot Lunaire, Gebet an Pierrot (Prayer to Pierrot). The narrator declares that she has unlearnt the skill of laughing and begs Pierrot, the ‘Horse-doctor to the soul,’ to give it back to her. I felt that this is a very moving metaphor of a performer: a serious clown trying to help the audience to connect with emotions they have lost, or believe they have lost.” Obsidian Tear, which is named for the volcanic rock that sometimes appears as small ovals known as obsidian tears (or Apache tears, based on a Native American legend), is a co-production between The Royal Ballet and Boston Ballet, and was premiered in May 2016 at The Royal Opera House, Covent Garden. 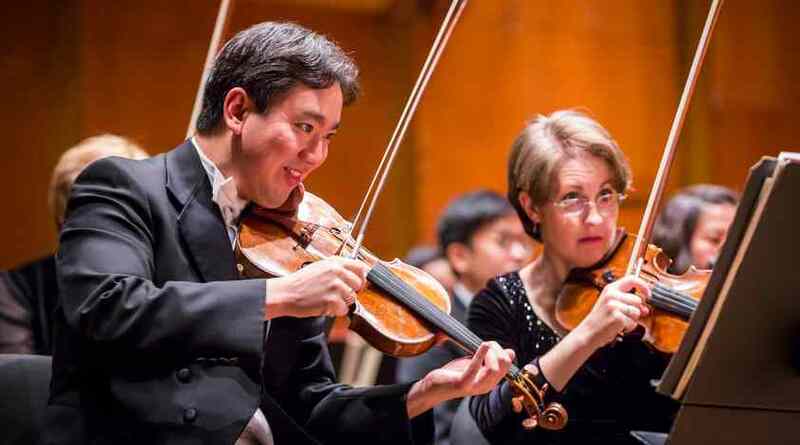 The New York Philharmonic performed Nyx in March 2015 in New York and on the EUROPE / SPRING 2015 tour, all led by then Music Director Alan Gilbert. Wayne McGregor CBE is a multi-award-winning British choreographer and director. He is artistic director of Studio Wayne McGregor, the creative engine of his life-long choreographic enquiry into thinking through and with the body. Studio Wayne McGregor encompasses his extensive creative collaborations across dance, film, music, visual art, technology, and science; Company Wayne McGregor, his own touring company of dancers; and highly specialized learning and research programs. Studio Wayne McGregor opened its own creative arts space at Here East on Queen Elizabeth Olympic Park in London in 2017. Wayne McGregor is also resident choreographer at The Royal Ballet, where his productions are acclaimed for their daring reconfiguring of classical language. He is professor of choreography at Trinity Laban Conservatoire of Music and Dance and has an honorary doctor of science degree from Plymouth University and an honorary doctor of letters degree from University of Leeds. He has an honorary fellowship of the British Science Association, and he is serving on the jury for the RIBA International Prize 2018. Wayne McGregor is regularly commissioned by and has works in the repertories of the most important ballet companies around the world, including Paris Opéra Ballet, New York City Ballet, Bolshoi Ballet, Royal Danish Ballet, and San Francisco Ballet. He has choreographed for theater, opera, film (Harry Potter and the Goblet of Fire, The Legend of Tarzan, Fantastic Beasts and Where To Find Them, Sing), music videos (Radiohead, Thom Yorke, The Chemical Brothers), fashion (Gareth Pugh London Fashion Week 2017, New York Fashion Week 2014), campaigns (Selfridges), television (Brit Awards 2015, 2016), and site-specific performances (Big Dance Trafalgar Square 2012). Wayne McGregor’s work has earned him four Critics’ Circle National Dance Awards, two Time Out Awards, two South Bank Show Awards, two Olivier Awards, a prix Benois de la Danse, and two Golden Mask Awards. In 2011 Mr. McGregor was awarded a CBE for Services to Dance. 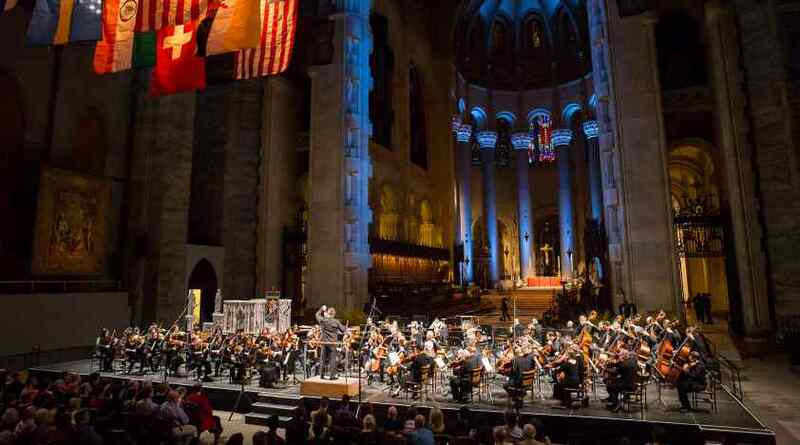 This performance marks his first collaboration with the New York Philharmonic. Esa-Pekka Salonen’s restless innovation drives him constantly to reposition classical music in the 21st century. 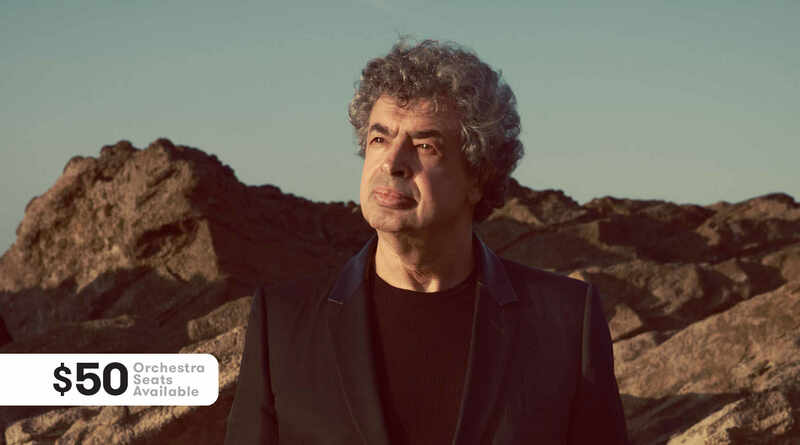 He is currently the principal conductor and artistic advisor of London’s Philharmonia Orchestra and the conductor laureate of the Los Angeles Philharmonic. 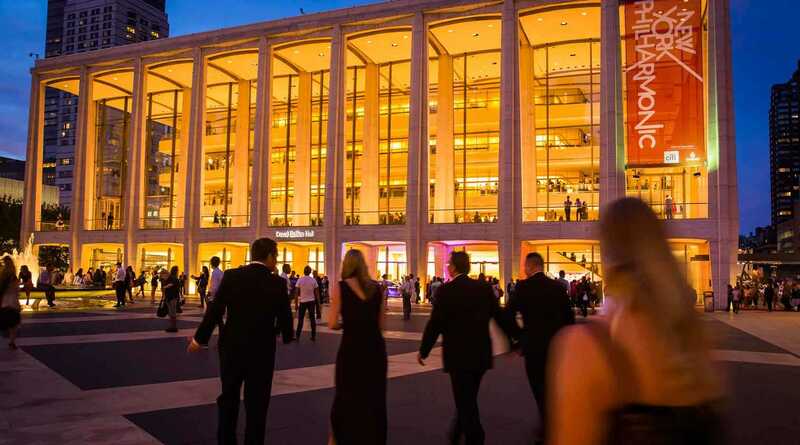 This is his final of three seasons as The Marie-Josée Kravis Composer-in-Residence at the New York Philharmonic and his second of five as artist-in-association at the Finnish National Opera and Ballet. Additionally, Mr. Salonen is artistic director and cofounder of the annual Baltic Sea Festival, now in its 16th year, which invites celebrated artists to promote unity and ecological awareness among the countries around the Baltic Sea. He serves as an advisor to the Sync Project, a global initiative to harness the power of music for human health. Pekka Kuusisto is renowned for his fresh approach to repertoire and his flair in directing ensembles from the violin. He is artistic partner with The Saint Paul Chamber Orchestra, artistic director of the Australian Chamber Orchestra’s ACO Collective, and this year became Artistic Best Friend of Deutsche Kammerphilharmonie Bremen after a longstanding creative collaboration with the ensemble. In 2018 he will be guest artistic leader of the Norwegian Chamber Orchestra. Other directing engagements include the Tapiola Sinfonietta and the Swedish and Mahler Chamber Orchestras. This season he appears with Amsterdam’s Royal Concertgebouw Orchestra, Orquestra Sinfônica do Estado de São Paulo, Orchestre de Paris, and the Helsinki Philharmonic Orchestra. He also undertakes a European tour with London’s Philharmonia Orchestra and appears with the ensemble throughout the season; play-directs the Berlin Philharmonic’s Karajan Academy with tenor Mark Padmore; and has a mini-residency at Pierre Boulez Saal with REDDRESS, a collaborative project with South Korean artist Aamu Song. An advocate of contemporary music, Mr. Kuusisto has premiered new works by Daníel Bjarnason, Sauli Zinovjev, Andrea Tarrodi, Anders Hillborg, and Thomas Dausgaard. He is also composing, performing, and recording music for a new animated television series of Tove Jansson’s Moomin stories with Samuli Kosminen. A gifted improviser, recent projects include collaborations with Hauschka and Samuli Kosminen, Dutch neurologist Erik Scherder, electronic music pioneer Brian Crabtree, and jazz trumpeter Arve Henriksen. Pekka Kuusisto is artistic director of the award-winning annual Our Festival in Sibelius’s hometown, Järvenpää, Finland. 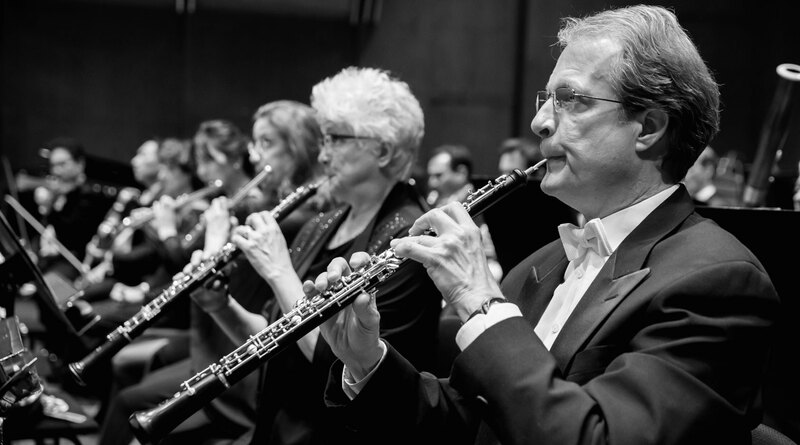 Recent concerto appearances include the Edinburgh International Festival with the Minnesota Orchestra and Osmo Vänskä, the BBC Proms with the BBC Scottish Symphony Orchestra and Thomas Dausgaard, and concerts with the Seattle, Cincinnati, and Finnish Radio symphony orchestras. A keen chamber musician, his regular partners include Nicolas Altstaedt, Anne Sofie von Otter, Simon Crawford-Phillips, Alexander Lonquich, and Olli Mustonen. Pekka Kuusisto plays a fine 18th century Italian instrument generously loaned to him by the Beares International Violin Society. In the past few years, violinist Simone Porter has made her debuts with the New York Philharmonic, The Philadelphia Orchestra, and Los Angeles Philharmonic, and with conductors including Gustavo Dudamel, Charles Dutoit, Yannick Nézet-Séguin, Nicholas McGegan, Ludovic Morlot, and Donald Runnicles. Born in 1996, she made her professional solo debut at age 10 with the Seattle Symphony, and her international debut with the Royal Philharmonic Orchestra in London at age 13. She received an Avery Fisher Career Grant in 2015. Her current season includes concerts with orchestras in Alabama and Rhode Island; Albany, New York; Eugene, Oregon; Lubbock and Waco, Texasin addition to a return to Des Moines and recitals in Los Angeles and San Francisco. Ms. Porter’s emergence on the international concert circuit has occurred simultaneously with her studies at the Colburn Conservatory of Music in Los Angeles. Her Walt Disney Concert Hall debut with the Los Angeles Philharmonic and Gustavo Dudamel in 2015 was followed soon after by performances with orchestras in Detroit, Cincinnati, Houston, Pittsburgh, Minnesota, Indianapolis, Nashville, Salt Lake City, Baltimore, and Rochester. She made her recital debut at the Ravinia Festival, her debut at the Grand Teton Music Festival, and multiple solo performances at the Aspen Music Festival. Having spent her formative years in Seattle, she made a homecoming return engagement with the Seattle Symphony in 2016. Ms. Porter made her debut at Carnegie Hall’s Zankel Hall on the PBS program From the Top: Live from Carnegie Hall, followed in November 2016 by her debut in Stern Auditorium. In June 2016, she performed music from Schindler’s List with Gustavo Dudamel and members of the American Youth Symphony, American Film Institute broadcast, Lifetime Achievement Award: A Tribute to John Williams. Simone Porter plays a 1745 J.B. Guadagnini violin on generous loan from The Mandell Collection of Southern California. For more than five decades, Boston Ballet’s internationally acclaimed performances of classical, neo-classical, and contemporary ballets, combined with a dedication to world-class dance education, and community initiative programs promoting excellence and access to dance, have entertained audiences and made the institution a leader in its field. Under the leadership of artistic director Mikko Nissinen and executive director Max Hodges, the company presents a broad repertoire, including classical ballets, such as Marius Petipa’s The Sleeping Beauty, Rudolf Nureyev’s Don Quixote, Frederick Ashton’s Cinderella, George Balanchine’s A Midsummer Night’s Dream, Mikko Nissinen’s Swan Lake, Florence Clerc’s La Bayadère, and John Cranko’s Romeo & Juliet; neo-classical ballets by George Balanchine; and contemporary ballets from choreographers including William Forsythe, Jiří Kylián, Wayne McGregor, Mark Morris, Christopher Wheeldon, and Boston Ballet resident choreographer Jorma Elo. The Boston Ballet is composed of 66 dancers of 16 nationalities and is the major center for dance in New England. It performs its full season at the historic, 2,500-seat Boston Opera House and resides in a state-of-the-art facility in Boston’s South End. Boston Ballet has toured nationally and internationally, including to Lincoln Center and the Kennedy Center in 2014, London in 2013, Helsinki in 2012, and Spain in 2010 and 2007. In 2016 Boston Ballet announced a five-year partnership with internationally renowned choreographer William Forsythe and presented his full-length Artifact in February 2017. Recently, Boston Ballet presented the North American Premiere of Wayne McGregor’s Obsidian Tear, a co-production with The Royal Ballet. Boston Ballet School provides training for the next generation of professional ballet dancers, and the highest quality dance education serving more than 5,000 students at locations in Boston, Newton, and the North Shore. The Department of Education and Community Initiatives reaches 4,000 individuals in Boston and the surrounding communities each year through programming, events, and activities. Wayne McGregor CBE is a multi-award-winning British choreographer and director. He is artistic director of Studio Wayne McGregor, the creative engine of his life-long choreographic enquiry into thinking through and with the body. Studio Wayne McGregor encompasses his extensive creative collaborations across dance, film, music, visual art, technology, and science; Company Wayne McGregor, his own touring company of dancers; and highly specialized learning and research programs. Studio Wayne McGregor opened its own creative arts space at Here East on Queen Elizabeth Olympic Park in London in 2017. Wayne McGregor is also resident choreographer at The Royal Ballet, where his productions are acclaimed for their daring reconfiguring of classical language. He is professor of choreography at Trinity Laban Conservatoire of Music and Dance and has an honorary doctor of science degree from Plymouth University and an honorary doctor of letters degree from University of Leeds. He has an honorary fellowship of the British Science Association, and he is serving on the jury for the RIBA International Prize 2018. Wayne McGregor is regularly commissioned by and has works in the repertories of the most important ballet companies around the world, including Paris Opéra Ballet, New York City Ballet, Bolshoi Ballet, Royal Danish Ballet, and San Francisco Ballet. He has choreographed for theater, opera, film (Harry Potter and the Goblet of Fire, The Legend of Tarzan, Fantastic Beasts and Where To Find Them, Fantastic Beasts: The Crimes of Grindelwald, Sing), music videos (Radiohead, Thom Yorke, The Chemical Brothers), fashion (Gareth Pugh London Fashion Week 2017, New York Fashion Week 2014), campaigns (Selfridges), television (Brit Awards 2015, 2016), and site-specific performances (Big Dance Trafalgar Square 2012). Wayne McGregor’s work has earned him four Critics’ Circle National Dance Awards, two Time Out Awards, two South Bank Show Awards, two Olivier Awards, a prix Benois de la Danse, and two Golden Mask Awards. In 2011 Mr. McGregor was awarded a CBE for Services to Dance. Foreign Bodies is supported, in part, by The Wallace Foundation, with special thanks to AlixPartners for its ongoing collaboration.